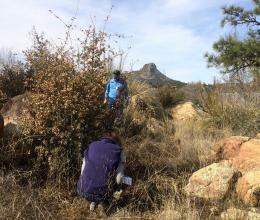 Volunteers learn how to make phenology observations of plants in the Mogollon Highlands in Arizona. 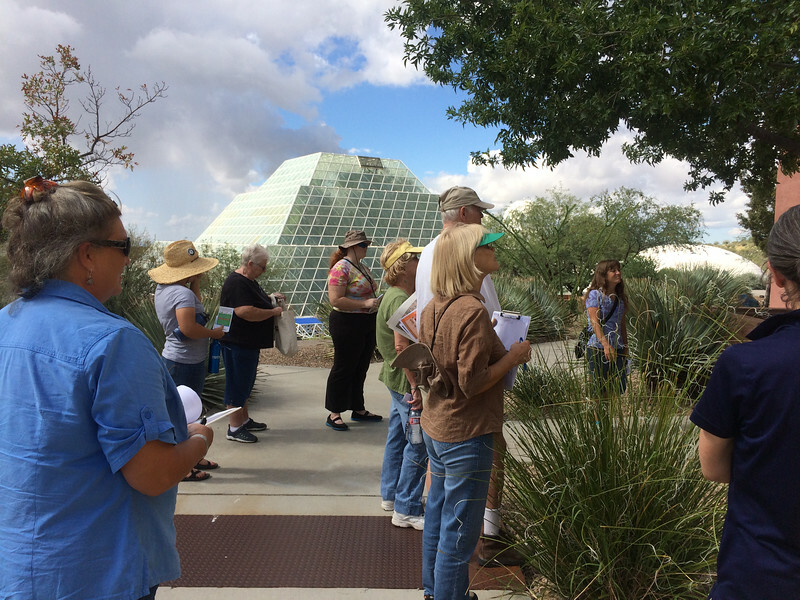 The Mogollon Highlands Phenology Trail encourages people to engage in active, outdoor education, ask and answer local science, management and climate questions, and connect like-minded organizations together through a shared community project. We are seeking someone to help coordinate Nature's Notebook monitoring efforts across the Mogollon Highlands. If you are interested please review our volunteer job description and take a look at the great work our volunteers have done over the last 4 years! Be sure to visit each of these locations to check out the tagged plants and animals and make some phenology observations. Each site offers many other natural history, environmental, gardening, and other great programs, so be sure to see what else you can learn while there! Register for a Nature's Notebook account. 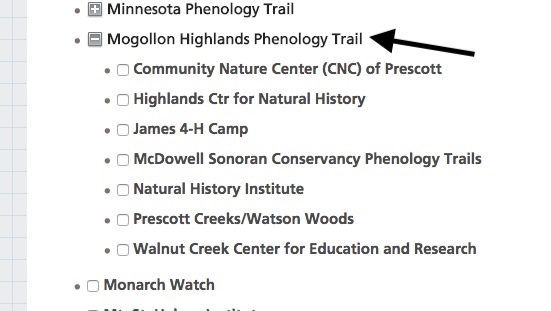 On the Partner list, scroll to Mogollon Highlands Phenology Trail and click on the + to expand the list. Select the sites along the trail where you'd like to participate and save your work at the bottom of the page. If you already have a Nature's Notebook account, find the Edit My Account page on the right side of the Observation Deck.Click on that link and select the EDIT tab to reveal the Partner List. Scroll to find the the Mogollon Highlands Phenology Trail Group, click on the + sign, and select the sites where you'd like to participate. Save your updated information and return to your Observation Deck to start observing. Interested in starting a Nature's Notebook program? See examples of how others are using Nature's Notebook. Are you interested in learning from others who are leading Local Phenology Programs? Consider joining our Local Phenology Leader Community of Practice. We host monthly calls with leaders around the country, designed to address topics of interest to those who are seasoned LPLs or those just getting started.